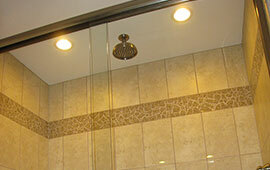 Water isn't the only thing gently falling in this dual head shower. 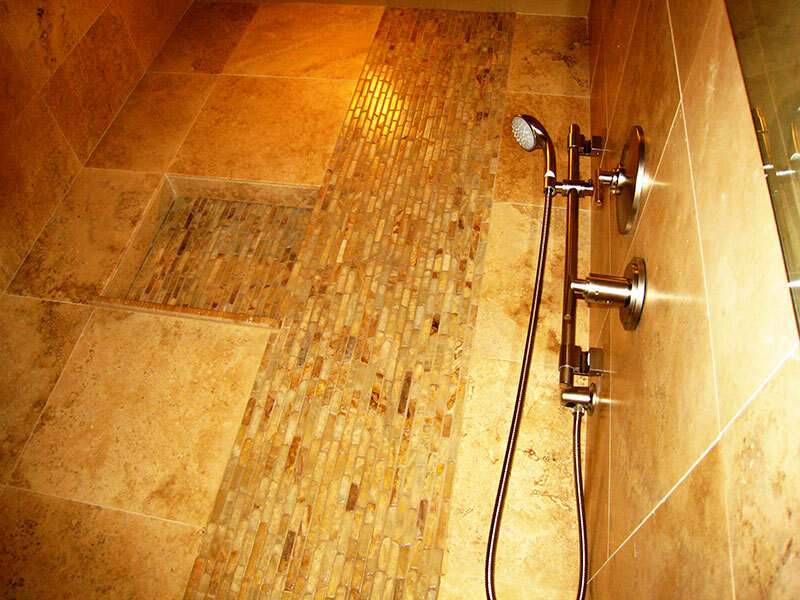 A quartzite "waterfall" drops to the matching shower floor. 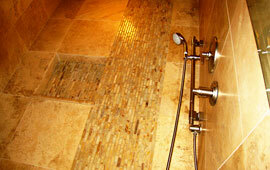 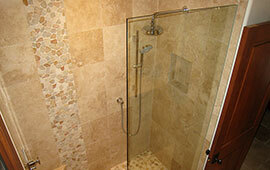 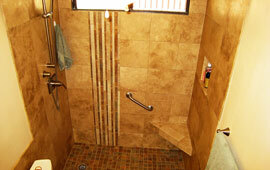 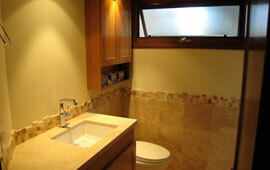 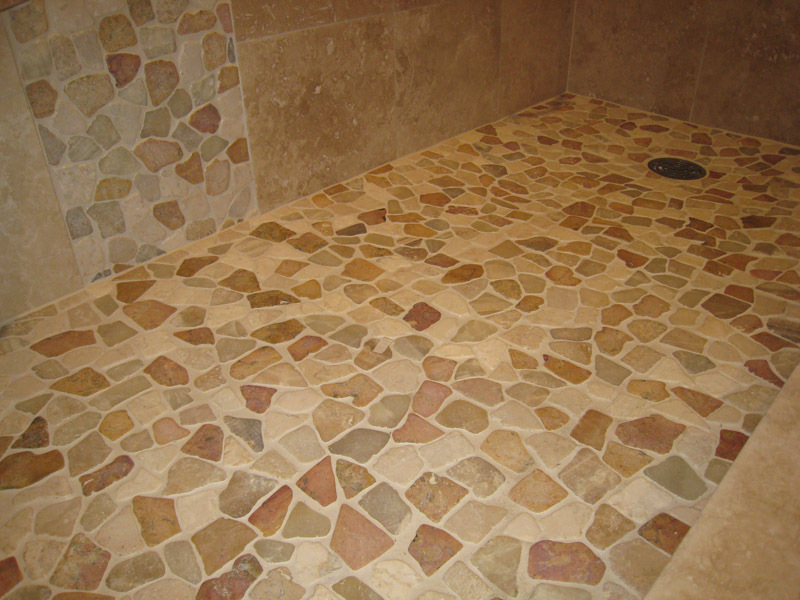 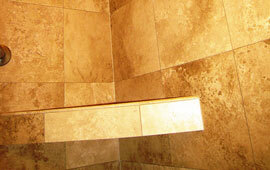 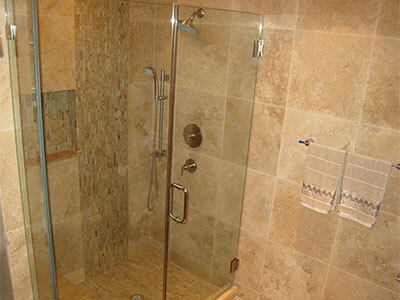 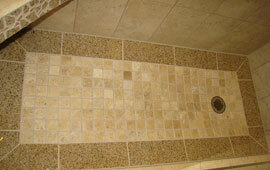 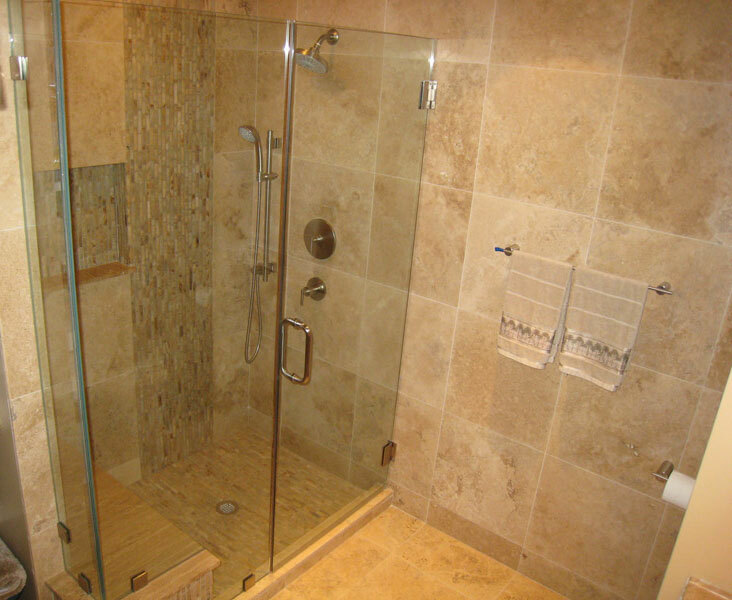 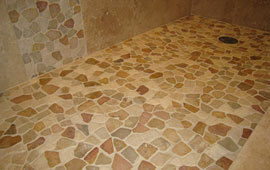 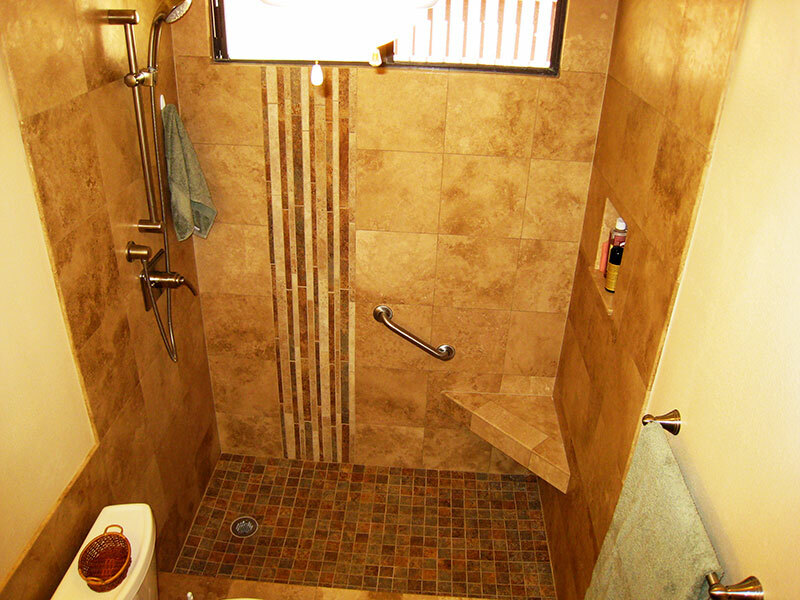 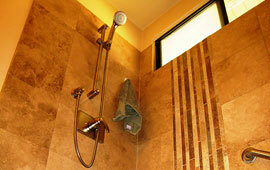 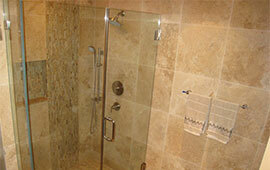 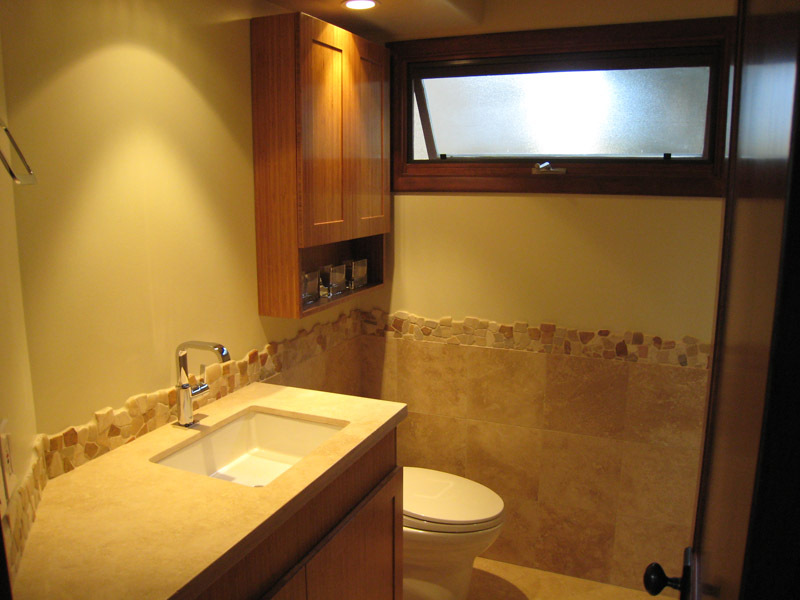 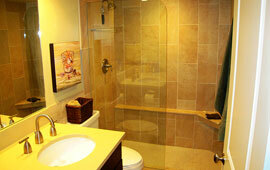 Natural travertine stone surrounds including an in-shower seat. 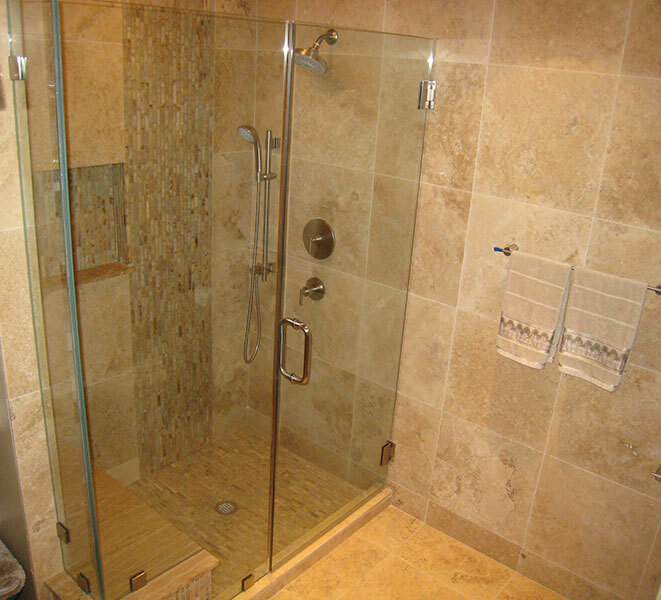 The fixed glass panel is "embedded" into the travertine hiding all mounting hardware providing a clean and minimalist feel. 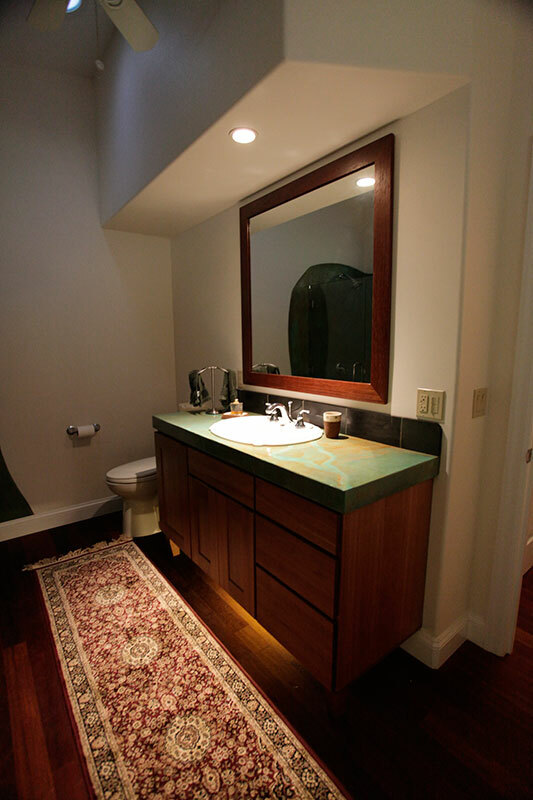 Custom designed from top to bottom in collaboration with Lani DuPonte, this gorgeous bathroom features a custom wood vanity topped with a solid travertine slab. 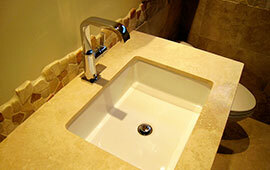 The gently curved front edge and quartzite bowl sink provide a polshed, elegant feel. 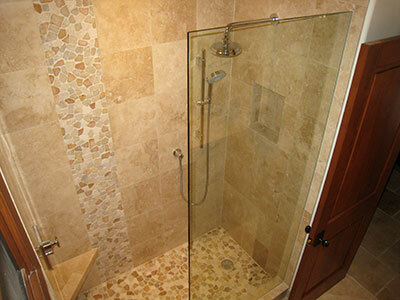 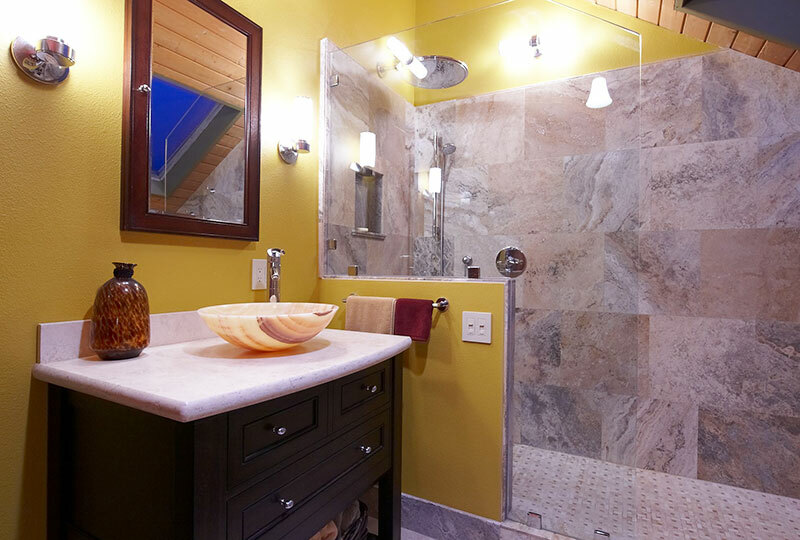 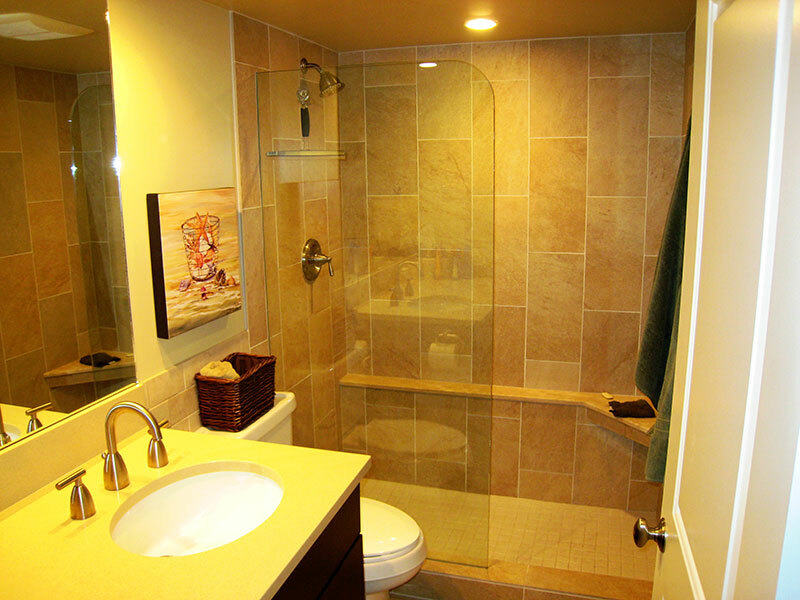 The oversized shower is enclosed with 18 x 18 "Philadelphia Light" travertine tiles and custom-cut fixed glass panes and features a Grohe shower system with dual heads. 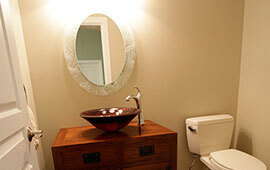 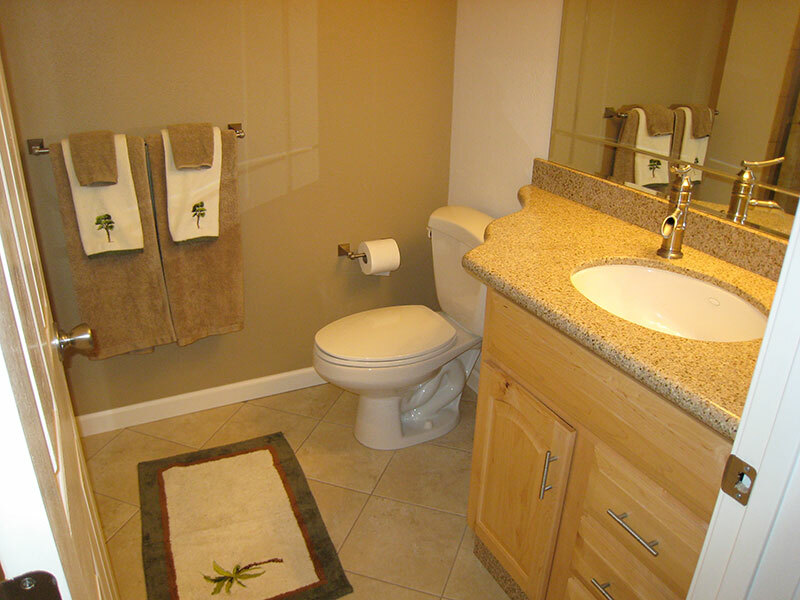 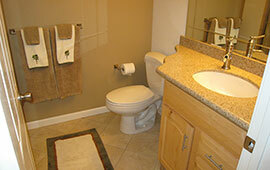 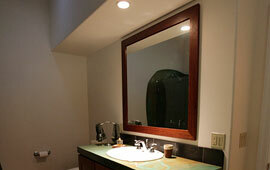 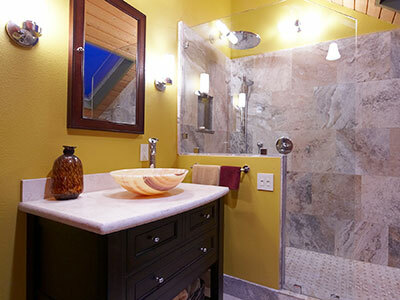 See this entire bathroom in our virtual bathroom tour. 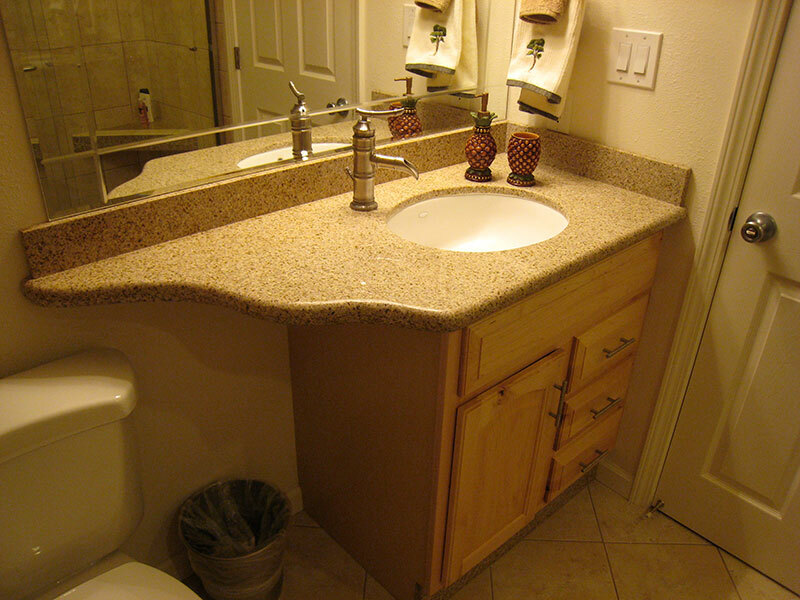 This maple vanity cabinet is topped by a custom designed and shaped granite countertop. 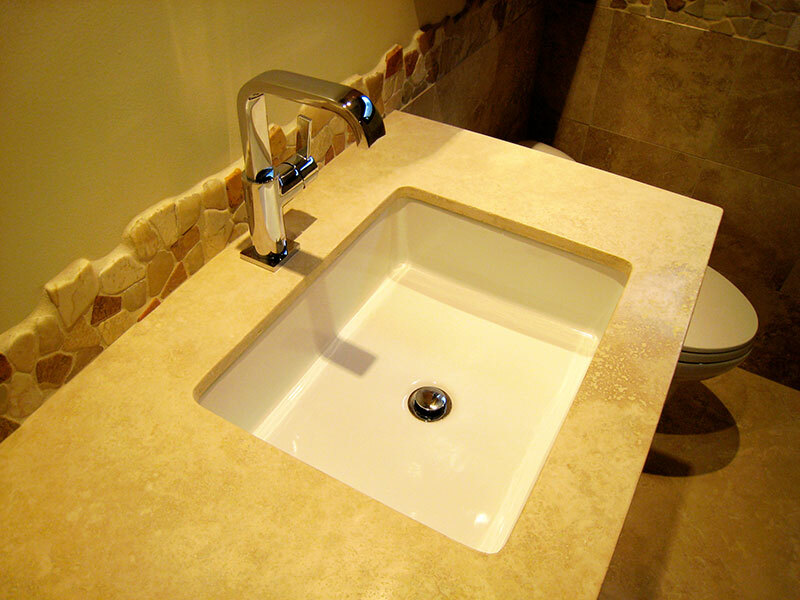 This stylish space features an undermount sink and	decorative faucet along with diagonal-set porcelain tile. 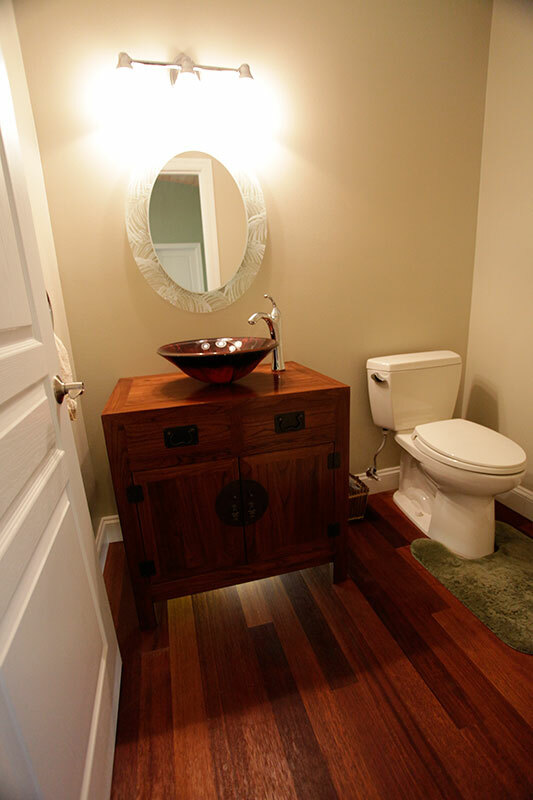 A matching granite toe-kick adds a very functional bonus. Open the custom cut, hinged glass door on this shower and you'll step into another beautiful integration of natural stones. 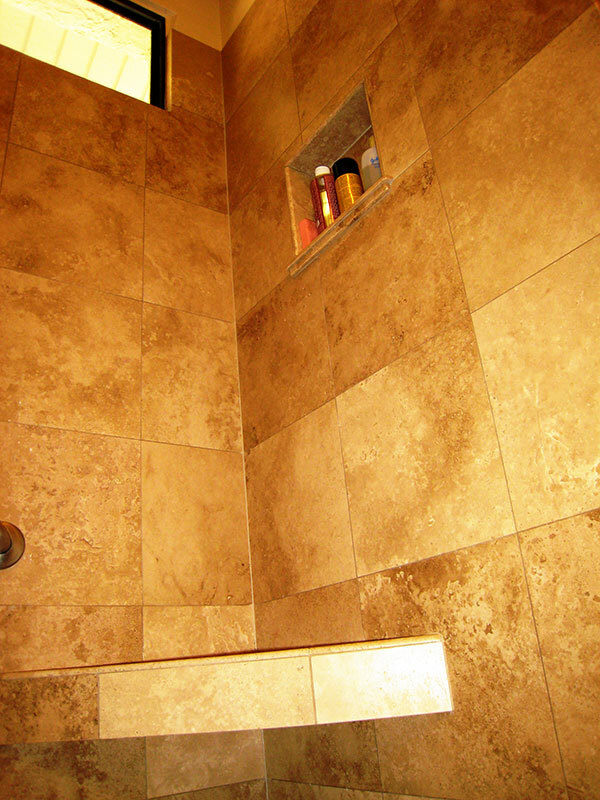 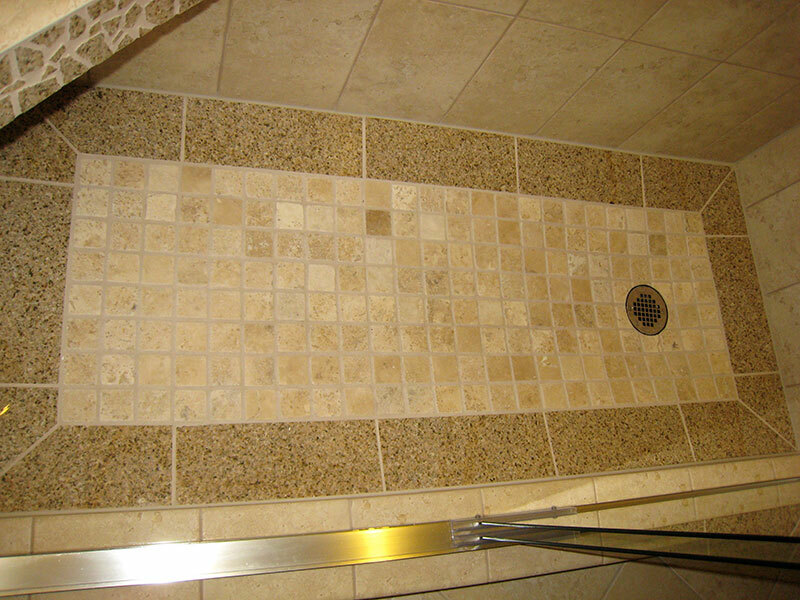 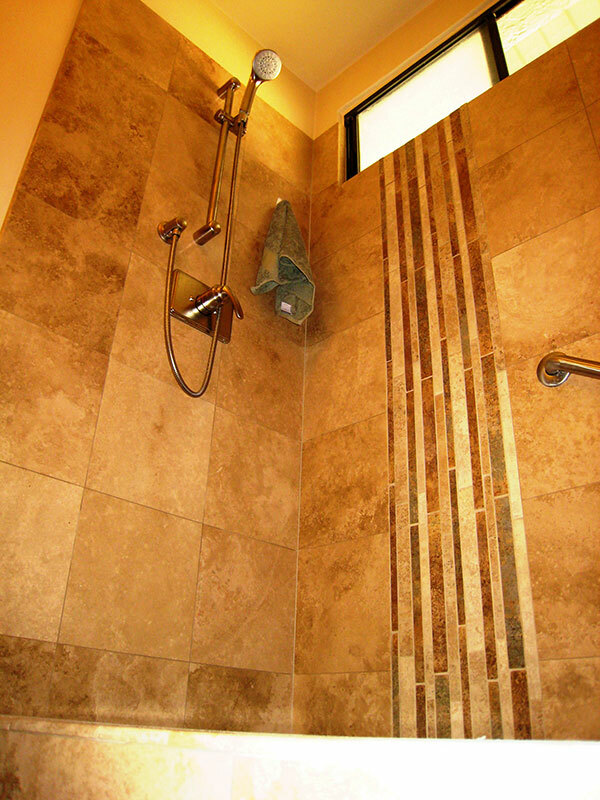 A finger travertine "waterfall" runs ceiling to floor, with the rest of the shower and adjacent wall tiled in a solid travertine. 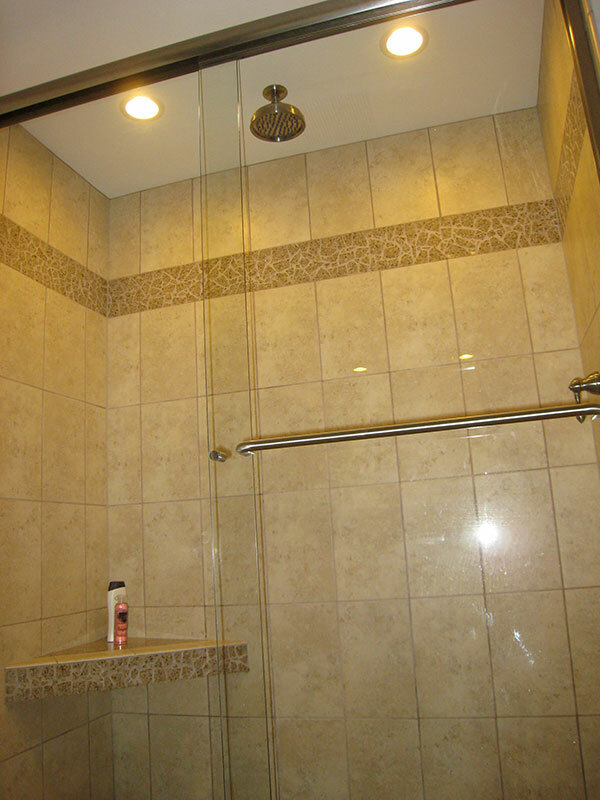 Featuring a Grohe shower system with adjustable height rail and quartzite bench seating, you might catch yourself stealing a few extra minutes come shower time.